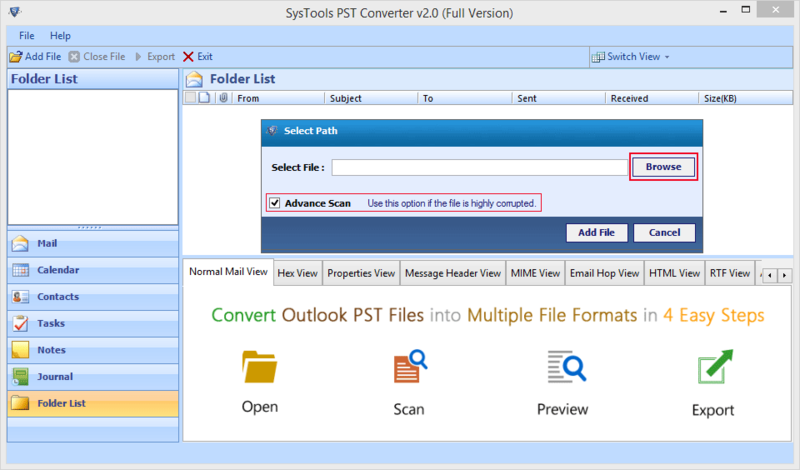 Convert Outlook PST File Emails into EML file for different clients. No File size limitation on conversion of large PST File. The software supports both format of PST File: ANSI & UNICODE File. Advance Scan option for Highly corrupted PST File. No need of Outlook Installation to convert file PST to EML format. 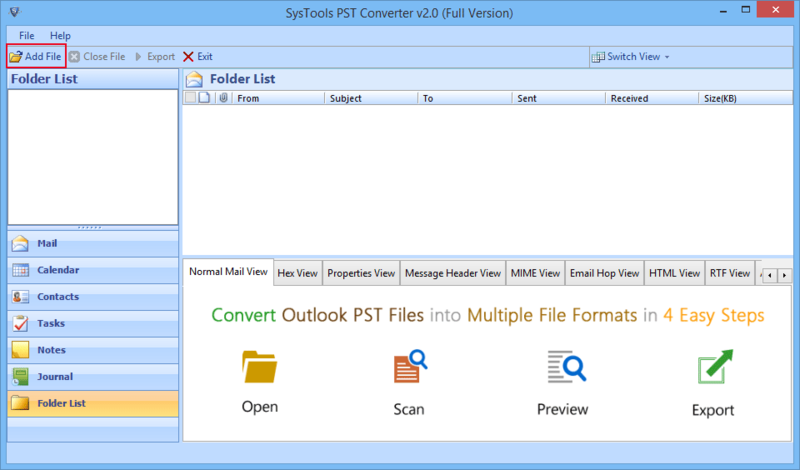 The PST to EML Converter helps the user to convert Outlook PST to EML messages. An EML File format supported by different email clients such as Window Live Mail, Windows Mail etc. The software provides option to view details of emails before exporting them into to EML file format. After scanning a PST file, tool generated different preview options, so that user can view all related information of emails. To maintain and understand export emails in EML format, a user can select various naming convention options. By default the emails files save in "Subject" convention. Using Date filter while exporting the files in another format, a user can select a preferred range of dates, by selecting a date range of "from" and "to" section to select the particular emails between them. A user-friendly interface helps a lot user to convert files, no complex interface, that help a lot, even a novice user can convert file without need of a technical person. The interface is similar to the Microsoft Outlook interface. A user can sort Emails file using different attributes such as from, send, receive, size, subject etc. PST to EML Converter sort attributes according to ascending or descending structure..
A PST to EML Converter tool is foremost converter tool used read PST File of Outlook data and convert them to EML format. An intelligent software that can help you to sort emails according to attributes, load corrupted PST file and also provide a filter to export mailbox of PST file into EML File extension. When a user needs to convert Outlook File(.pst) into other EML format supported by different clients such as Outlook Express, Thunderbird, Window Live Mail, Windows Mail in less time. PST To EML Converter can help a user by scanning highly corrupted PST file and give an instant preview to the user, without changing any meta-data associated with it. Run PST to EML Converter. Select Add File Option to load Outlook File witin software. Now Browse the location of PST File in the local system. To scan highly corrupted files, check the box of "Advance Scan". To export PST emails into single EML format, select the desired emails files and click right on it. Choose Export option. 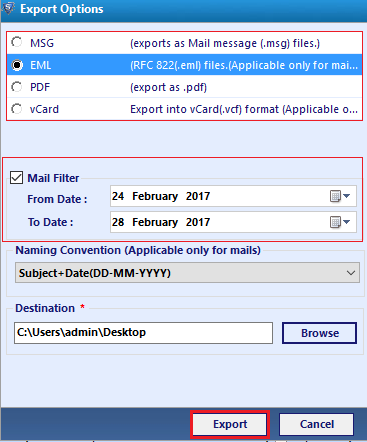 To convert PST To EML file format, check the radio box, user can also apply mail filters to find specific emails between dates. The Output EML files can be manually verified after successful file conversion. PST To EML Converter Tool - All Doubts & Queries! Can I convert corrupt or damaged PST file in Eml file format? Yes, Software works on damaged or corrupted PST Files. To convert PST to EML Format, first of all, you have to select the desired file, then software applies intelligent algorithms to remove corruption from files and provide preview of PST File. Can PST To EML Converter can convert multiples PST files in one go? NO, Software convert only single PST file at a time. It does not convert PST file in bulk. Can I convert PST file of ANSI extension to EML format? 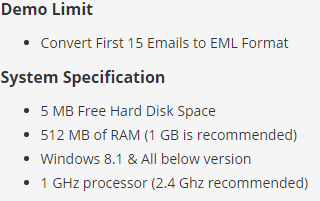 Yes, PST To EML Converter support both extensions of PST file such as UNICODE & ANSI PST file. I am thinking about how could I convert my PST file emails into single EML files, so that I can use them in email client supporting EML files, and finally my search end on PST to EML Converter. Find an easy way to convert file convert my Outlook files in EML format. With the help of the tool, I can even convert my highly corrupted PST files emails into single EML files, different filter to find particular emails also help a lot in finding important emails. A great tool to create an EML file from Outlook PST file. As I am working on different EML Supported Web clients, Sometimes need to view hundreds EML files of PST File. 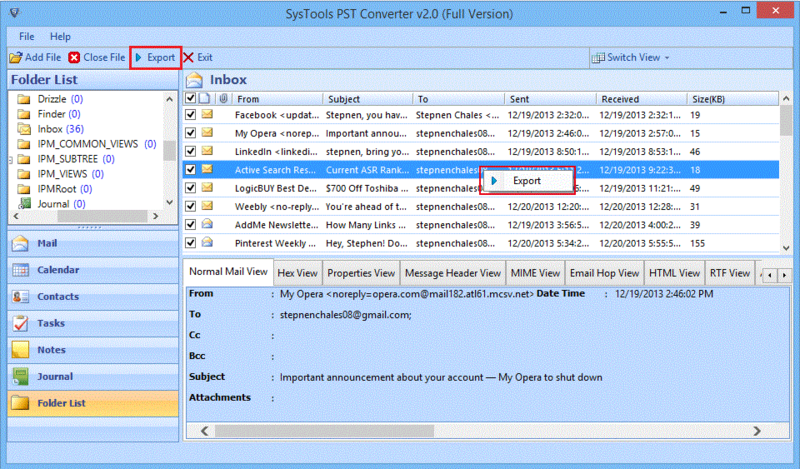 For that software smoothly convert PST emails without any data loss.